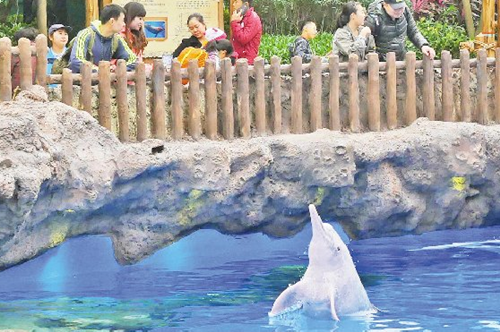 Hengqin-based Chimelong Ocean Kingdom, which has become one of the top theme parks in China, plans special celebrations for the Lunar New Year, inasmuch as a Chinese White Dolphin protection education base opened there on Jan 15. Chinese White Dolphins, a rare marine species under state first-grade protection, have already delighted visitors since their debut at Chimelong this week. 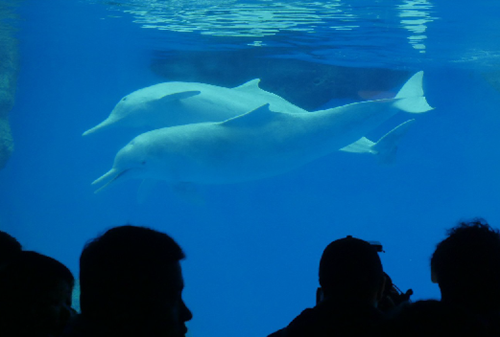 Five of the water mammals make this the largest Chinese White Dolphin show in the world. All of them were sent from Underwater World Singapore. The park will be lit up by fireworks throughout the Lunar New Year holiday. Folk art like lion and dragon dances, and drum performances will give people a taste of local culture. 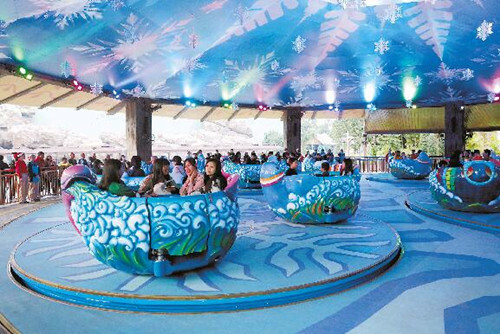 In addition, a new amusement facility -- Polar Spinning Teacup Ride, which can accommodate at most 95 people in 19 such “teacups” having a diameter of about 30 m -- will be available during Spring Festival. 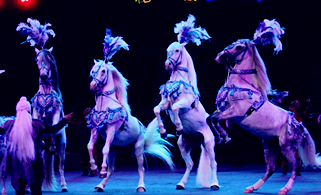 Unlike traditional teacup spins, this one, the largest in the world, can also take riders up and down along with music and splendid light shows. As a research and education base for a 460-sq km national nature reserve of the Chinese White Dolphins, Chimelong will raise public awareness about the need to protect the "giant panda in the sea." Chimelong stood out from a group of candidate parks and was selected by Underwater World for its advanced equipment, experienced animal experts, and climatic and environmental advantages, according to a Chimelong spokesperson. Located in the water area of the Pearl River Estuary between Lingding and Niutou islands, the nature reserve protects the endangered Chinese White Dolphins and biodiversity in the area. It also contributes to sustainable economic development by restoring the marine ecosystem and producing more fishery resources. According to statistics, there are only 2,133 Chinese White Dolphins in the area. This smart and lively species inhabits mainly the coast of southeast China, in particular, the Pearl River Estuary in Guangdong and the Jiulong River Estuary in Xiamen, Fujian Province.